Welcome to 2019! I cannot believe my ten-year high school reunion is this year! In case my NC family and friends are curious whether I plan to fly back to NC for this reunion, I will decide this after learning what day the reunion is happening and whether I have enough vacation days available. 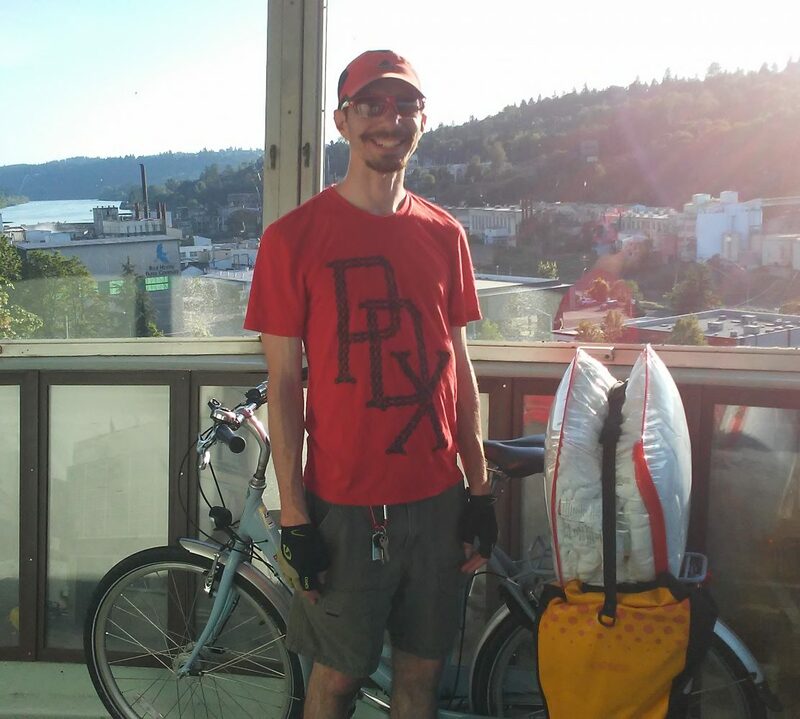 I applied for the Adventure Cycling Association’s The Greg Siple Award, which closed yesterday. If I receive this award then I may not have enough vacation days available to attend my high school reunion. Both of the Outdoor Leadership recipients receive a four-day Leadership Training Course of their choosing and a ten-day (some tours are shorter and some tours are longer) Self-Contained Tour of their choosing within 18 months of taking the Leadership Training Course. Following the Leadership Training Course, recipients are required to complete the outreach project that they proposed in their application. Recipients are also required to write two blog posts, which will be posted on the Adventure Cycling Association’s blog. One post will be about their experience taking their educational course and one post about the outcome of their outreach project. Finalists will be notified by February 8 and asked to submit a short video recording or do a live interview (no more than two minutes) in response to one question. Winners will be notified by March 1. I am excited about this potentially life-changing opportunity! My last post discussed my work goals for 2019. While I need to be less of a workaholic and depart work before my boss tells me to leave, I have been planning a nine-day January 19-27, 2019 Hawaiian vacation that will force me to not be a workaholic. My parents and twin sister, who still live in North Carolina, will be meeting me in Hawaii. Since my brother is in graduate school and working a new job, he cannot take nine days off for this vacation. Since Hawaii has six major islands, I decided to visit more than one island. I will start and end my vacation on Oahu Island. My dad’s optometry conference is on Hawaii Island (aka Big Island), so I will fly there and back from Oahu Island. Flying between islands is expensive and my dad would have had to pay for three people, so he decided that my parents and sister will only visit Hawaii Island. Coordinating my flights to and from Oahu Island around my dad’s conference schedule were made more complex by the fact that our rental home on Hawaii Island is not easily transit and bike accessible. This means I cannot easily use transit or bike to and from the Kona International Airport. My dad, who rented a car, will have to pick me up and drop me off at the airport. Unfortunately, car-free transportation logistics get even worse on Hawaii Island. Unlike Honolulu, which has bikeshare, no city on Hawaii Island appears to have bikeshare. I even tried to rent a bike on Hawaii Island through Spinlister, which just relaunched today. As the below map shows, Spinlister has no bikes available on Hawaii Island, which is the southernmost island. While transit exists on Hawaii Island, it does not appear to be as reliable as what I am used to in the Portland, OR region. The below map looked great until I reviewed the bus schedules. My family will be staying in Waikoloa Village and my dad’s conference is in Puako. Since the car rental company only allows my dad to drive the car and my dad needs the car to attend his conference, my mom, sister and I will not have a car for several days. I hope transit proves to be more reliable than what the schedules show. If not, we will be spending more time that we want in Waikoloa Village. I could rent another car so my mom, sister and I can explore Hawaii Island while my dad is attending his conference. Even though I chose to have fewer days on Oahu Island than Hawaii Island because I wanted to spend time with my family, I may explore more on Oahu Island than on Hawaii Island. This is mostly due to how much easier it should be to travel throughout Honolulu and Oahu Island. Honolulu has direct (no transfer needed) bus service from Honolulu International Airport to my Waikiki (Honolulu neighborhood) hostel. Since I received a $20 off code, I reserved a free bike in Waikiki through Spinlister. Honolulu also has Biki, which is a dock-based bikeshare system. Ride Sharee operates a dockless bikeshare system in Honolulu. Since many tour companies provide affordable transportation from Waikiki to throughout Oahu Island, I do not need a car on Oahu Island. While I am still stressed about transportation logistics on Hawaii Island, I am feeling prepared for transportation logistics on Oahu Island. If I do end up needing a car in Honolulu, my second cousin lives in Honolulu with his wife and baby. He offered to pick me up and drop me off at the Honolulu International Airport. He has also been helping me plan my Hawaiian vacation. I expect to be busy or relaxing on a beach in Hawaii, so I plan to wait until returning to Oregon to write a reflection post about how my vacation went. What do you have planned in 2019?